Make baking and serving effortless with help from this 5 lb. blueberry muffin mix! 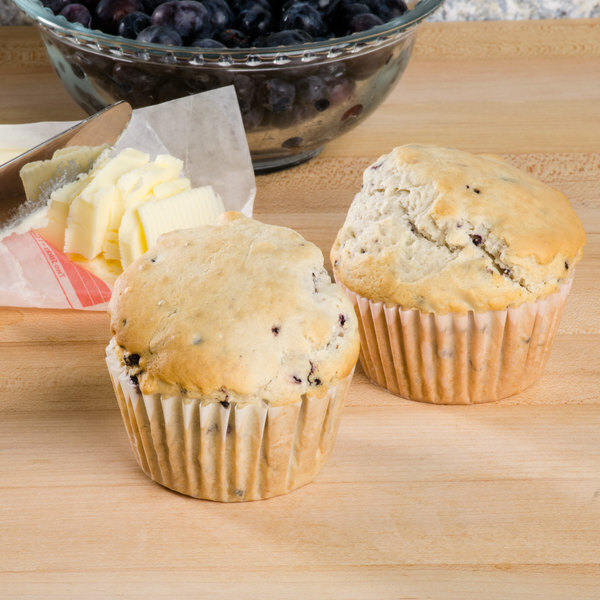 Whether your patrons are at your hotel breakfast bar or browsing the menu of your dine-in restaurant, they'll love the option to choose a freshly-baked muffin. 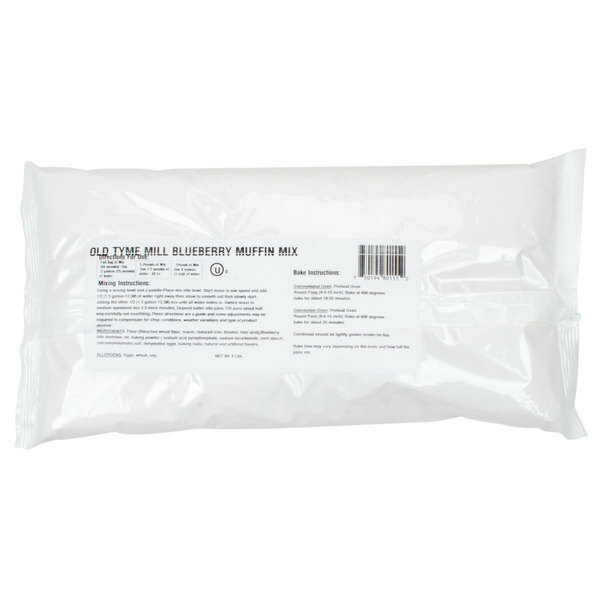 The perfect choice to sweeten up any morning meal, blueberry muffins made from this easy-to-use mix guarantee great texture and consistency. Serve blueberry muffins with a hot cup of coffee at your coffee shop or convenience store for a sweet and satisfying snack any time throughout the day. Top these muffins with butter for an extra soft and moist texture. 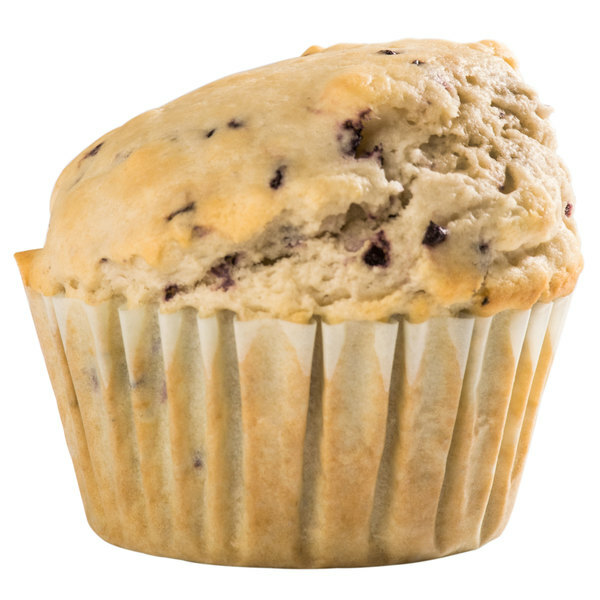 When it comes to flavors of muffins, blueberry is a classic favorite that all of your patrons will be looking for. 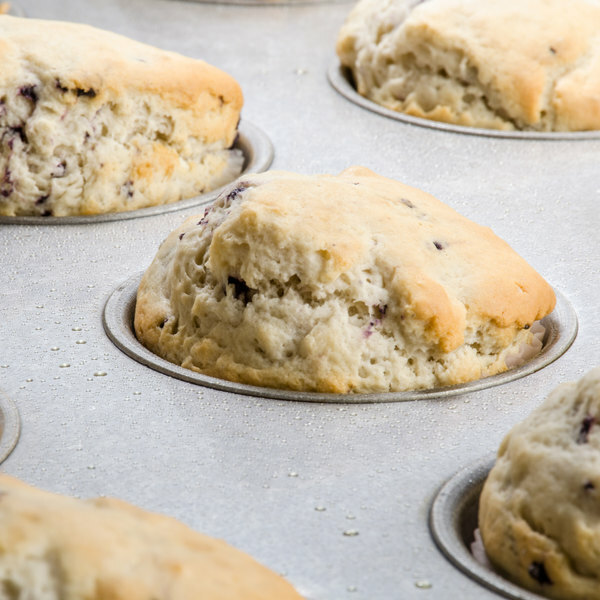 The blueberry fruit adds a distinctively fresh, sweet flavor and an appealing look to any muffin mix. Add blueberry muffins to your breakfast menu or cafe counter, and indulge your guests with the taste they know and love. Packaged in a convenient 5 lb. size, this muffin mix is simple to make. Just add water, mix, and bake! Fantastic blueberry muffin mix. I put 60 ounces of mix in my mixing bowl and on low speed I added 6 ounces of water a little at a time. I put the speed on #2 and let it mix so all the ingredients completely mix together. I also added 1 tbsp of sugar while mixing. I placed them in a spray release I purchased from WEB.COM also. I also spread butter on the tops. I baked them in a 350* preheated oven for 25-30 minutes. To check the doneness use a tester sold here on WEB.COM and let sit on the grate and enjoy them for anytime of the day. 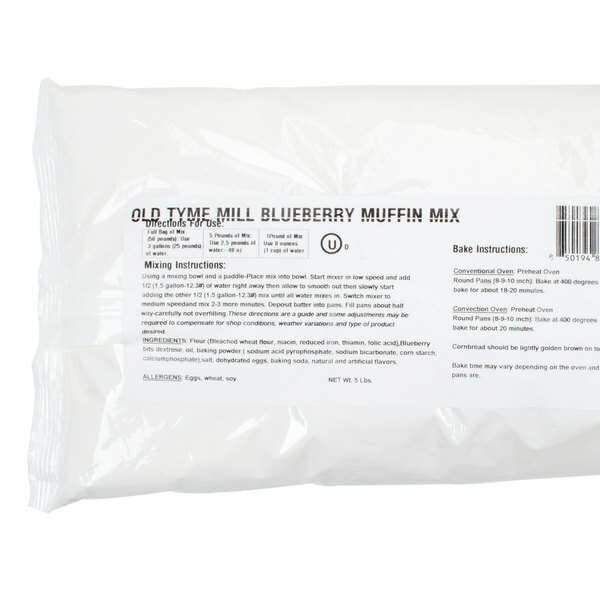 The 5lb blueberry muffin mix is a great value mix and makes a great base for our blueberry scones. We love the quality of the mix and it makes great, fluffy muffins too. Just add water and pour in commercial sheet pan or make your muffins. Can't get any easier than that. Product has good flavor. Great for catering a large crowd. This blueberry muffin mix is really easy to make and they taste wonderful. I really like that all you have to add is water. My kids really enjoyed them. I really recommend this product. The muffin mix is delicious! It's very easy to make and it comes out fluffy. Just add water. My family and friends just gobble it. A delightful blueberry muffin mix that tastes great. They are wonderful for baking large batches for our bakes sales at my daughters' school during the fall. It's really easy to make. You just add water. Baking times were wrong. It said 20 minutes. Fortunately I checked then at 12 minutes. They were done. Product tastes OK for a mix. It won't pass for homemade bit it's a decent mix. This blueberry muffin mix is really good. And so easy to make. You just add water, mix and done. Taste as good as other name brand blueberry mixes out there. We love blueberry muffins. They are a customer favorite in our bakeries and cafes that we manage. This mix was really simple but delicious. We are glad that we found it. This muffin mix makes great blueberry pancakes. OK, so hear me out, I took one cup of mix, added one cup regular flour, 2 eggs, 1 tps baking powder, and added milk. It made amazing blueberry pancakes. The pancakes were sweet, they had a great blueberry flavor and they came out nice and fluffy. Great mix, and I also made a batch as regular muffin,s and like the other reviewers also said they are great muffins. A very versatile product. Great tasting, easy to mix, and easy to customize. We liked them the way they were but also added a touch more sugar and frozen blueberries. YUM! A winner either way! 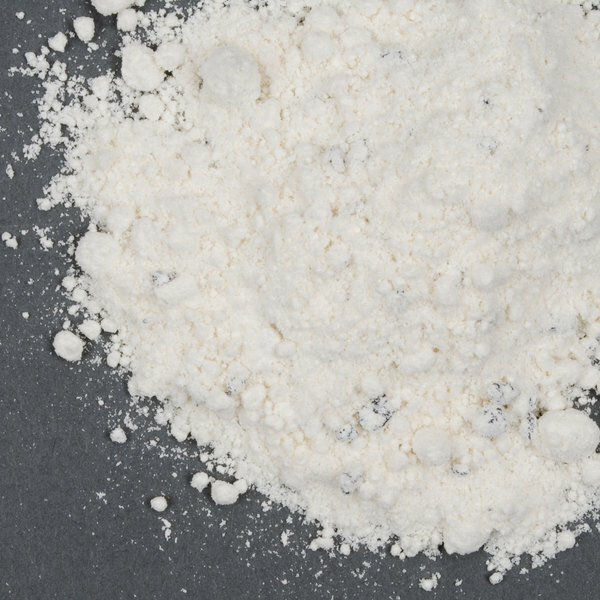 A very tasty and easy to make mix at a wonderful price. The blueberry muffin mix is fabulous and makes some of the best muffins in a jiffy. A top notch blueberry muffin mix at a unbeatable price. The muffin mix is so easy to mix up and the muffins smell awesome baking. They are so fruity and delicious. Wonderful muffin mix! I can easily dress these up with a little added apple sauce in the mix and then dipped in glaze and golden sugar to make them mouth watering! The blueberry muffin mix is an awesome product. It is simple to mix and bake. I love to send warm muffins on my breakfast caterings. My customers love the muffins...I will order more on next order. This mix cuts back on prep time so much it is hard not to love it. Simply add water and you are all set! The taste is great also works as a great base for blueberry pancake mix. We love this blueberry muffin mix. There are tons of blueberries in the mix. The recipe bakes up nice and fluffy and the muffins are surprisingly delicious for a box mix. Will definitely buy again! Very simple to make- we use these at our cafe to make muffins and also use it as a blueberry waffle. Customers love them, and it's so so simple. Not bad, but it's not the best. Very great on convenience and ease of baking. Using at home takes a bit of practice and knowing what muffins are supposed to look like, but will make them successfully. Our morning prep time for fresh blueberry muffins have been cut in half! Clear cut directions on the side and not nearly the mess. This 5 pound bag will last us at least a month. This is a really easy but very tasty basic blueberry muffin mix. They are extra simple to make but not at all on the taste. Yummy blueberry muffin mix. It was easy and simple to mix and make. They are a hit in our restaurant. Nice product at a nice price. This blueberry muffin mix is so convenient. As a PTA mom, we have lots of fundraisers and baking sales and these muffins are perfect to sell. They taste great.